As we noted last month, Chain Store Guide is wrapping up work on next year’s first publications, one of which is the 2017 Directory of Retail Technology. We’ll have this publication ready to go in January to provide print-preferring customers with highly qualified technology leads for the retail sector that include top chains like Walmart, Target, CVS, Home Depot, Best Buy, and Macy’s along with 1,600 other large retail chains and the 17,000+ personnel who make the decisions. For those who prefer their leads to come from the cloud, the corresponding database is updated throughout the year, available via our online portal, and offers hundreds of search options. In addition to company profiles and leads, our researchers compile solid primary data ­on the technology preferences of leading retailers. 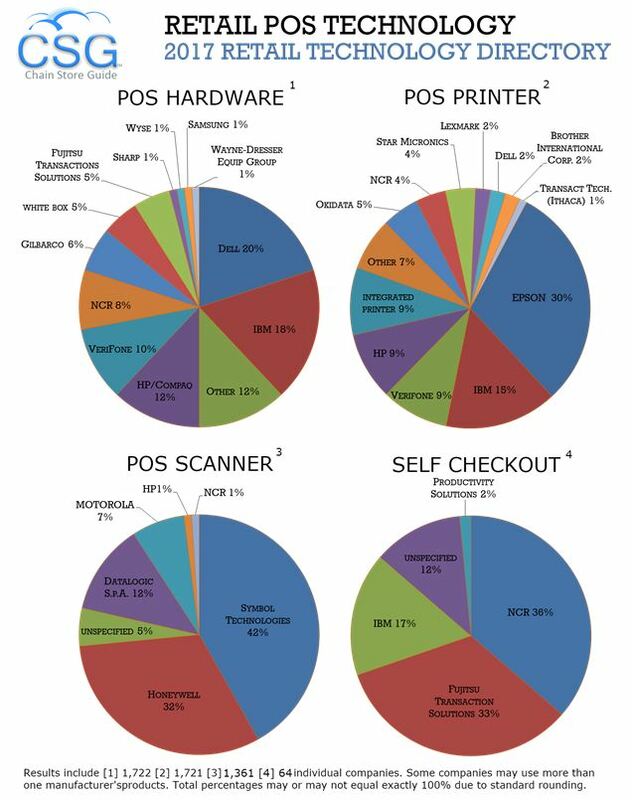 Here’s a look at brand new data bound for the 2017 edition of the Directory of Retail Technology.